These viruses have been around for a long time and are spread mostly via migratory waterfowl. Many wild birds can have the viruses without becoming ill. Bird, swine and human flu are very similar viruses. The panic at the moment is due to a HP strain of H5N8 spreading rapidly through South Africa. This strain is rapidly fatal to chickens and ducks and could decimate our commercial poultry industry if left unchecked. Also, one of the biggest concerns with bird flu is that it could mutate to become dangerous to people. The current strain doesn't affect humans and as far as we are aware cannot be transmitted to dogs or cats. There have been recorded bird deaths all over South Africa, including in some of our best zoos and parks. Current government policy is to cull all poultry on an affected commercial premise, like a chicken farm, and to institute quarantine. The exact details depend on the situation. Parrots can get bird flu but cases are rare. It is critically important that you minimise contact between wild birds and your pet birds or your bird collection to prevent infections. Keep birds indoors or under roof and prevent wild birds from getting near food and water supplies. Do not take in any injured or sick wild birds. Ideally, do not have chickens or ducks on the same premises. If you find a dead ibis, Egyptian goose etc, place it in two sealed plastic bags and send it for testing. Talk to the vet about how to submit dead wildlife to the State Vet. Maximise your biosecurity by using F10, Virkon or other good disinfectants, and use footbaths and hand sprays before entering your aviaries. 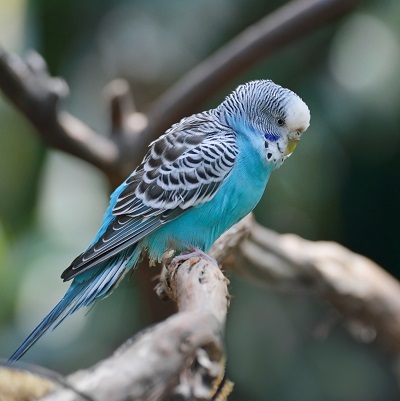 If not absolutely necessary rather do not handle your pet birds physically. There are vaccines available overseas but vaccination is currently not allowed in South Africa. Using a vaccine in a commercial setting as with poultry could theoretically worsen the situation by increasing the chances of the virus mutating to affect people and could also theoretically adversely affect South Africa's ability to export poultry products. Some countries recommend vaccinating at-risk endangered species of birds. Be careful of bringing wild birds that appear to be sick to the vet without a telephone call in advance to see that it is in order. This is because it may be risky if there are domestic/exotic birds which are hospitalised, which could lead to cross contamination. If you have an injured or ill waterfowl from your own collection or should you have a sick parrot that you may suspect may have bird flu, special arrangements may have to be made for seeing the bird, to prevent other birds being affected.